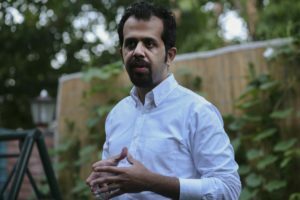 Jumping out of a car to escape being abducted at gunpoint by the Pakistani military isn’t exactly how journalist Taha Siddiqui planned to start his trip to London. 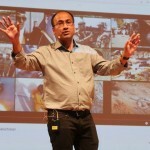 Siddiqui, then a Pakistan correspondent for the network France 24 and the Indian news site WION, had angered the South Asian nation’s military with his reporting on national security issues and critical posts on social media. On Jan. 10, the problems caught up with him as he rode to the airport in a Careem, a popular ride-hailing service in the capital Islamabad. A car with armed men in it forced Siddiqui’s driver to stop. He was beaten by the side of the highway and the men forced him into the back of a vehicle and started to drive off with him. Pakistani media is noted for its lively and diverse news coverage. Yet reporters in the country face threats not just from extremist groups like the Taliban but from the military and intelligence agencies. The country ranks 139th out of 180 countries on Reporters Without Borders’ World Press Freedom Index, and in recent months independent media like Geo TV and Dawn newspaper have been blocked from distribution. 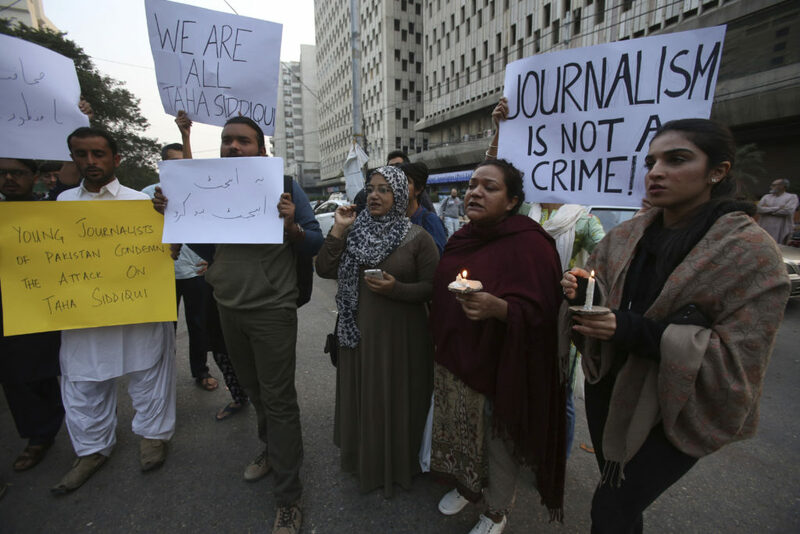 Earlier this month two reporters were attacked in Lahore shortly after a military spokesman condemned “anti-state” remarks made by journalists on social media. 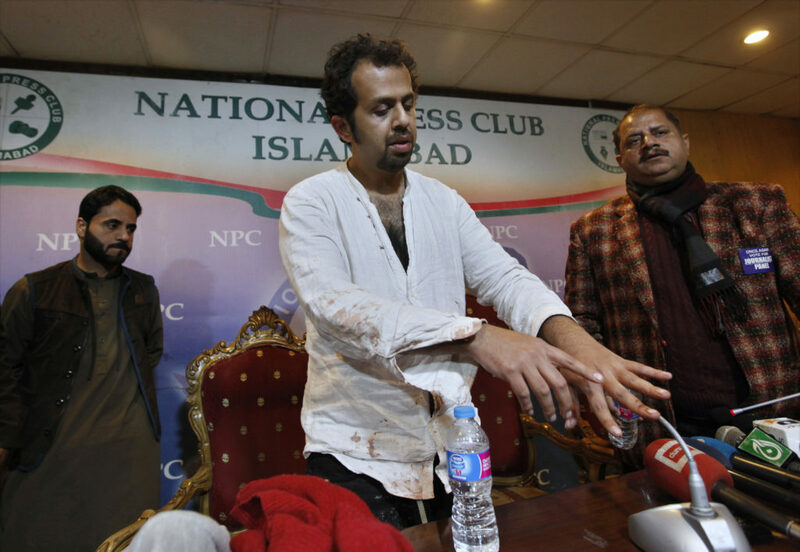 As Siddiqui told Global Journalist, he was able to escape from his captors and report the attack to the police. The kidnapping attempt wasn’t the first time Siddiqui had problems with Pakistan’s military. In 2015, he was threatened after he co-wrote a lengthy New York Times article detailing how the military had disappeared dozens of suspected Pakistani Taliban members. The article included allegations that some of those disappeared were starved, tortured and killed. He was also threatened after helping produce a France 24 report critical of the Pakistani army’s handling of a 2014 school massacre in Peshawar that left over 150 dead. 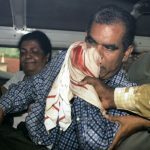 Siddiqui had also faced pressure last year after posting tweets critical of the military’s “glorifying” of past dictators and its whitewashing of its role in fomenting a 1965 war with India. 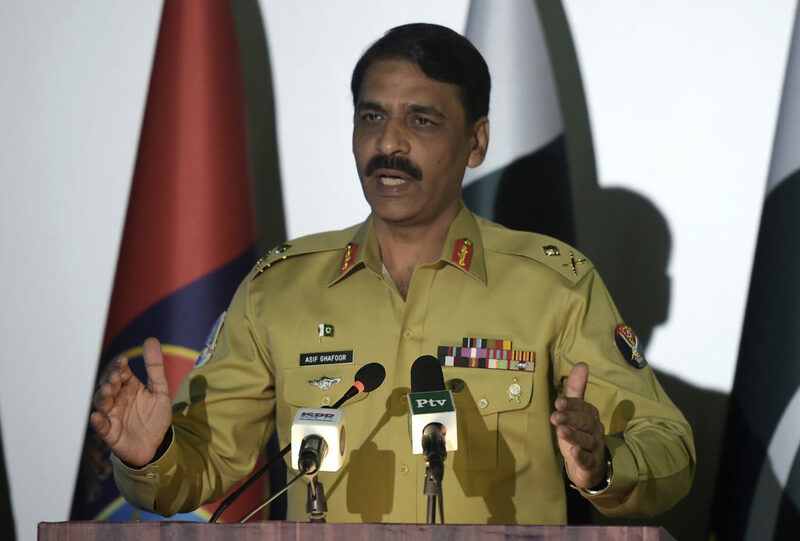 Ghafoor did not respond to messages seeking comment from Global Journalist. Yet trouble didn’t come until the January attack, and Siddiqui can’t point to one specific incident as a cause. Weeks after the attack, Siddiqui, decided to leave Pakistan for France for security reasons. Before he left, he says he met with Pakistan’s then interior minister, Ahsan Iqbal. Iqbal, Siddiqui says, told the journalist he should write a letter to Gen. Qamar Bajwa, Pakistan’s army chief, and beg for forgiveness. Neither Iqbal nor Bajwa responded to requests for comment. Now 34, Siddiqui lives with his wife and 4-year-old son in Paris, where he is working part-time with the media company Babel Press and looking for a full-time job. He spoke with Global Journalist’s Rosemary Belson about his attack and flight from his homeland. Global Journalist: Can you tell us about the reporting that landed you in hot water? Siddiqui: The military is politically-involved in Pakistan. They have businesses, they are involved in human rights abuses, education. When reporting in Pakistan about any particular issue, usually you end up tracking it back to the military in some way or another. It’s impossible to report without talking about the military and its involvement in a wide range of issues in Pakistan. I refer to a story that I did for the New York Times. It came out on the front page of the International New York Times in 2015. It was a story about military secret prisons where they were killing suspected militants. They were extrajudicially killing them inside the jails. 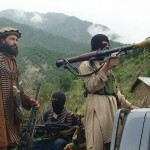 I uncovered about 100 to 250 cases across Pakistan, especially in the Tribal Belt [in northwest Pakistan]. Even at that time, the New York Times thought it was quite risky for my name to go on it. But I wanted my byline on it and that was the first time I started receiving direct threats. There were always indirect messages coming in through friends in the journalism business or friends in the government saying that I should be careful… Constantly on and off these threats would come. Even to the extent where my friends and people I socialized with were told to stay away from me. GJ: Walk us through the attempted abduction. 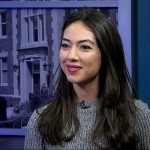 Siddiqui: On Jan. 10, I was headed to the airport to catch a flight to London for work. The week before that I was working on a story about missing persons. I was supposed to file the story from the airport because I didn’t have [time] to file it before, so I took [my] hard drive and laptop. My Careem came around 8 a.m. for my flight at noon. Halfway to the airport on the main Islamabad highway, a car swerved in front of me and stopped. Armed men got out of the vehicle with pistols and AK-47s. I got out and assumed that this had something to do with the threats I had been receiving. I tried to run away but they pinned me down on the road. That’s when I noticed there was another car behind me with people coming out of it as well. They made a barricade around me, and this was [on] the main highway at 8:30 in the morning, with traffic…they started beating me and wanted to take me away. That’s when I realized they were serious about shooting me. Earlier, [when] they didn’t shoot me right away, I thought perhaps it means they want to take me alive. In my mind I was thinking that resistance would give me some lifeline. I saw a military vehicle passing by. I called out for help but it didn’t stop. After being threatened by being shot in the leg, they put me in the taxi, and took out the driver. One person drove while two people sat with me in the back and one in the front. They were holding me in a headlock with a gun pointing to the left side of my body on my stomach. But I just ran and finally I found a taxi. I got into it while it was moving. I opened the door, jumped into it. The taxi took me 700 or 800 meters before realizing there was something wrong and [the driver] didn’t want to help me anymore. So they asked me to get out because it was already occupied by some women. I got out of the taxi. On the side of the road, there were some ditches and a marsh area, so I jumped into that and hid there for a bit. I took off my red sweater because I was worried they’d see me…we later recovered the sweater with the police. I found another taxi. I asked to use [the driver’s] phone. I called a journalist friend and asked him what to do. He suggested I go to the nearest police station and the taxi driver took me. I filed a report where I named the Pakistan military as a suspect. I also tweeted about it from a friend’s account because they had taken my phone, passport, suitcase, laptop, bag. I only had my wallet left on me. 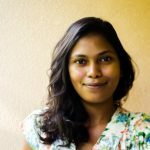 GJ: How did you make the decision to leave Pakistan? Siddiqui: The police investigation found that the [surveillance] cameras in the area weren’t working. They found one of the cars that stopped me was following me from my house but they couldn’t identify any of the faces inside the car because [the windows] were tinted and the license plate was fake. 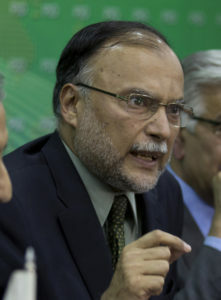 I was invited [to a meeting] by the Interior Minister of Pakistan [Ahsan Iqbal]. He suggested that I should write a letter to the Pakistan Army Chief [Gen. Qamar Bajwa]. That’s when I realized the government was totally helpless. People suggested that I go away for awhile because they didn’t finish the job and they might come again. Especially since I wasn’t going silent, as was suggested by some senior journalist friends who later turned their back to me during this ordeal. It was really disappointing and depressing seeing my own journalist community not supporting me. 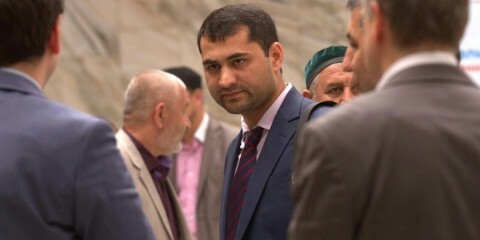 The international media supported me, some local journalists supported me, but some people that I knew personally thought I was going the wrong way by being vocal about the attack. Me, my wife…we sat down together and discussed. We didn’t tell my kid at the time but now I’ve gently told him how there’s a safety issue for me and we had to move. We decided that we should get out. If we are getting out, it wasn’t going to be a three or six-month thing, because I’m fighting invisible forces in my country. I will not know if I’ve won or lost or whether they’re still after me or not. We decided on Paris because I had been working with the French media for the last seven or eight years as a journalist for France 24. I also received the French equivalent of the Pulitzer prize [the Albert Londres prize] in 2014, so I have strong journalistic support and community here. 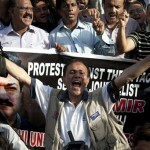 GJ: How has media freedom changed over time in Pakistan? Siddiqui: Press freedom has always been under attack. 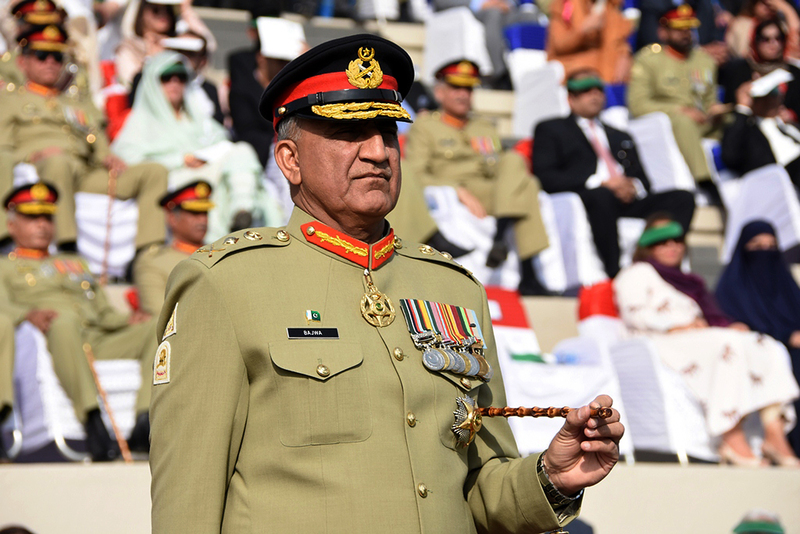 We’ve gone through military dictatorships in Pakistan…through the 1960s, 1970s and 1980s. Two things have changed in recent years. One, we as journalists don’t know what the red lines are. In my case, I don’t know what specific story, article or video triggered it. Or was it just my social media activity? Secondly, non-state actors are now being activated against journalists so [the military] can hide behind those non-state actors and get the job done. The military has ensured that unity among journalists is not as it used to be. They have done that through financial coercion or financial rewards…it’s further shrunk the space for journalists. The military is becoming more intolerant and its tactics to control the media are becoming more violent. I see the situation becoming worse in the coming days. This all needs to be put in context. It’s an election year in Pakistan. The Pakistani military wants all of this room to manipulate elections for strategic gains. They don’t want the ruling party [Pakistan Muslim League – Nawaz] to come into power again with a similar majority to what they enjoy right now. So to make sure they can easily manipulate the elections, they are trying to develop an environment of fear where independent reporting can’t happen.